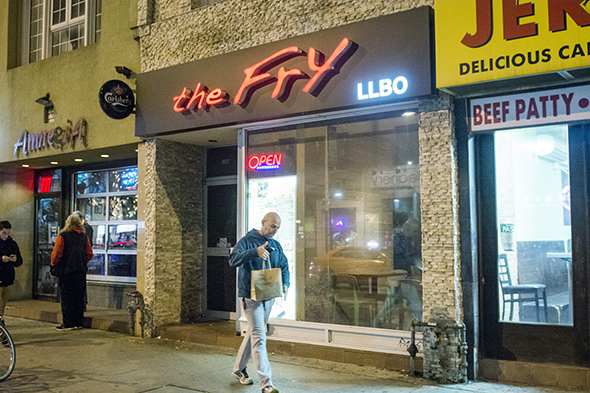 The Fry is home to some of Toronto's most popular Korean fried chicken (KFC). The Annex restaurant is one of a handful of the chain's locations and has what might best be described as an unfinished look that's casual and no frills. The most popular item on the menu is the Green Onion Chicken ($18.99) and I can see why. 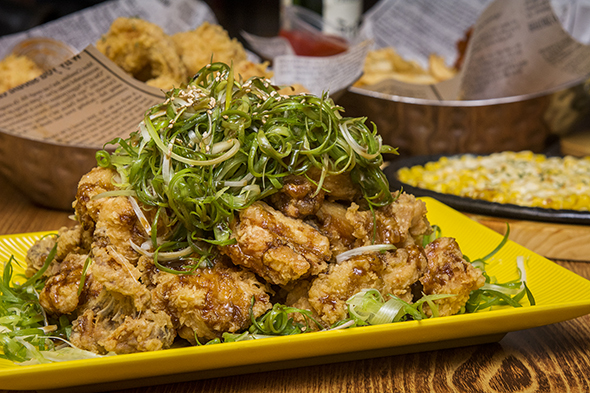 It comes as a mound of fried chicken, lightly sauced, bedecked with large quantities of green onion. Definitely a feast for your eyes and your tastebuds. My personal favourite is the Fried Chicken in Spicy Sauce ($16.99). There really are no words that can adequately express how much I love it. 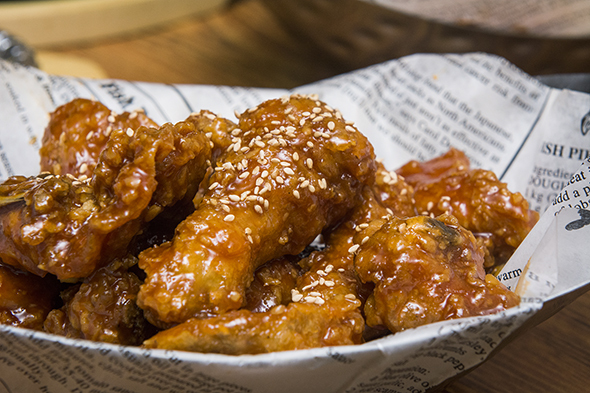 Fried perfectly, and coated with a sticky sweet-spicy sauce, it's the pinnacle of Korean fried chicken excellence. You can also get this deliciousness in wing form. 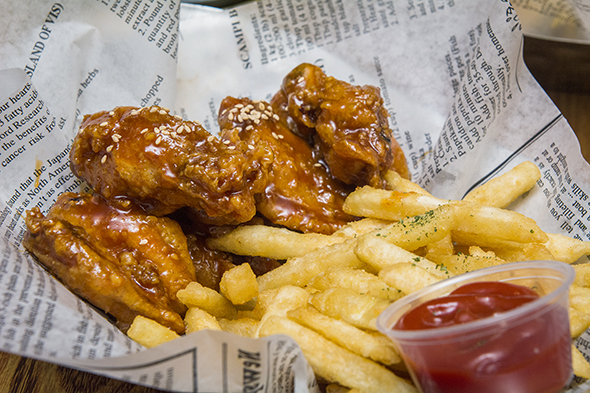 The Wings in Spicy Sauce ($15.99) comes with a side of crisp fries, which hits that sweet spot of crunchy on the outside but tender and flaky on the inside. 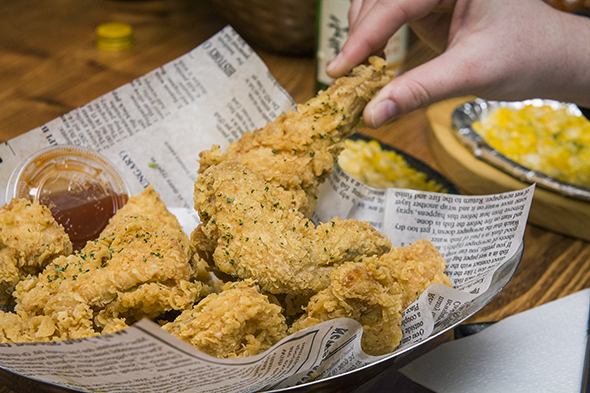 Fried chicken purists should order the Crispy Chicken ($16.99). The name pretty much says it all, and this is by far the dish that has the strongest batter game here. Make sure to get some of their spicy sauce for dipping. 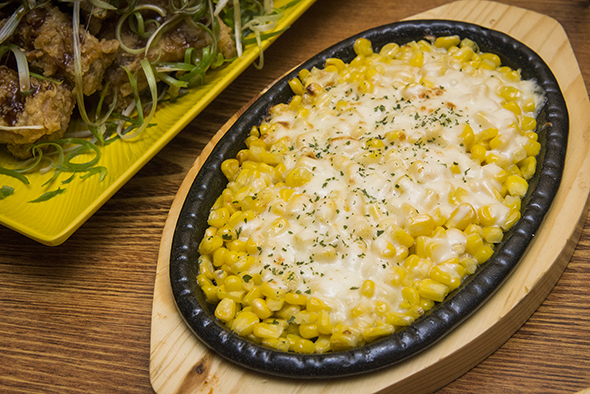 As a side, try the Corn with Cheese ($7.99), served on a hot skillet. While nothing fancy, it goes well with the greasy goodness on the rest of the menu. 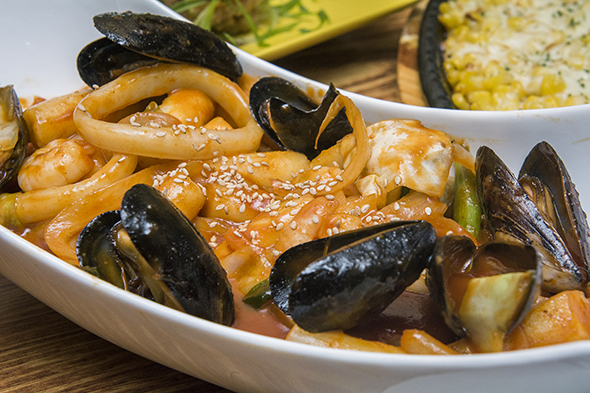 Or try out the more Korean-themed Spicy Rice Cake with Seafood ($13.99). The chewy tteok provides a nice contrast to all the crunchy fried chicken, and the spicy seafood-infused sauce, resplendent with squid and clams, is poetry for my tastebuds. 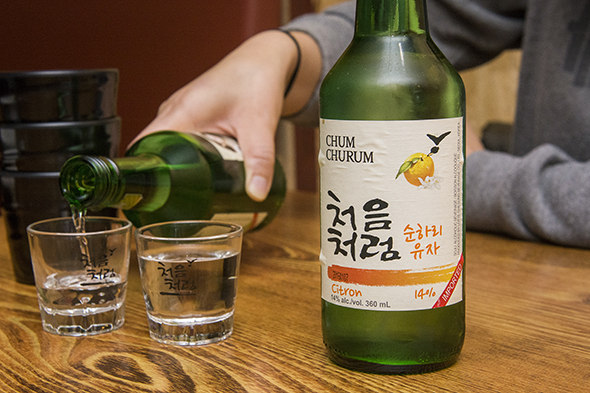 It wouldn't be a proper Korean fried chicken joint without some soju. The regular variety ($16.99) is clear and satisfying, but my personal favourite is the Cocktail Citron (13.99) which adds a dash of citrusy sweetness that nicely cuts through the richness of the meal.